The time is right for more anthropologists to engage with news media - with their creation, reception and content, writes S Elizabeth Bird in the recent issue of Anthropology News that was published today. Anthropological engagement with media was long rare and discouraged - and in some quarters still is, Bird criticizes. The main focus has in her view been on topics like the role of television in family life, or the maintenance of diaspora connections through digital media but not on news production or reception. Throughout the world, people argue, fight and die for stories in which they believe. So it is important to dissect and interpret them: the use of language, the choice of words, the images, the entire frame of the news coverage. Which stories are being told and which are not? Whose stories are being told, whose are not, and why? 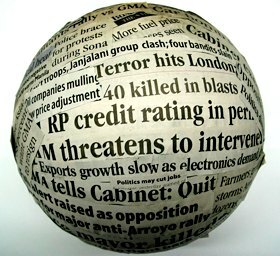 How do journalistic routines and values vary across cultural contexts, and how does that produce different kinds of news? How does the choice of images take the story in one direction or another? How does the story then become part of the common-sense reality in specific cultural contexts? We all know, for instance, that the story of the Iraq war is deeply contested. If we have a lot of time, we can scour the Internet, sift through multiple accounts, and reach a conclusion. Most people have neither the time nor the resources to do that; they have little choice but to attend to the stories that predominate. If we understand better how journalism works, she concludes, not only will we better understand our mediated global cultures, but we will also become more adept at working with journalists to tell anthropology’s stories more effectively. >> download the whole article: Anthropological Engagement with News Media: Why Now? I have to admit I’m a bit surprised about her analysis. Is the study of news really so much neglected? But that’s maybe because I tend to read more anthropology blogs than journals? It’s in blogs this kind of media anthropology is happening? 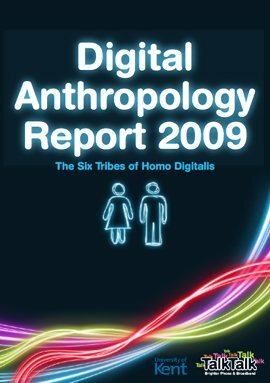 There are six more articles on anthropology and journalism online, among others Reviewing Books in Popular Media Anthropologists as Authors and Critics by Barbara J King. When reviewing, the single greatest joy for me is the oppor- tunity to showcase our colleagues’ brilliance. I look for books that bring alive people’s patterns of meaning-making as they flourish and struggle in their daily lives, books that make us see with new eyes behaviors familiar and strange to our own society or at times even to our own species. In Divergent Temporalities. On the Division of Labor between Journalism and Anthropology, Dominic Boyer shares some interesting observations about the borders between anthropology and journalism that seem to overlap more and more. Even doctoral candidates report feeling enormous pressure to publish their research findings well in advance of receiving their PhDs. Not unlike the desk journalists of old, we find ourselves increasingly concerned with “getting the story” (Peterson in Anthropological Quarterly 74), that is, with chasing the next publication opportunity to keep up with market expectations and the demands of institutional audit cultures. A good example of an anthropology of news can be found in the february issue of Anthropology Today (free access!!). In Heart of darkness reinvented? A tale of ex-soldiers in the Democratic Republic of Congo, Sindre Bangstad and Bjørn Enge Bertelsen analyze Norwegian media’s representation of Congo. It is not just that people feel overloaded. As consumers, they long for a better way to communicate with information providers – news companies and advertisers alike. They want that communication to be two-way, transparent and honest. They seek a new relationship that is built on trust, not simply on the value of the content or advertising itself. He called Communitas a time of egalitarian information sharing which can be harnessed to rebuild trust between information providers and consumers. He likened Communitas to the social networking phenomenon online, where consumers feel comfortable engaging with information among their friends and peer groups. (…) With Communitas, there is no such thing as one-way communication. There are only two-way conversations that inspire loyalty and trust, and those are key ingredients with the power to cut through the clutter of the Internet. Both studies are based on ethnographic research methods. The researchers tracked and analyzed the behavior of individuals in their work and home environments. Context does ethnographic research, meaning it studies small groups of people up close to get at the root of their behavior. That “Deep Structure,” as Context calls it, opens up a view of how companies can respond to cultural changes that aren’t so obvious on the surface. 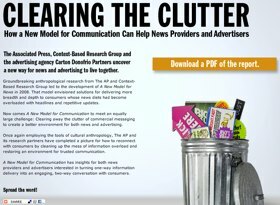 I found one more report on Context’s website called Grounding the American Dream: An Ethnographic and Quantitative Study on the Future of Consumerism in a Changing Economy where they “portray a society and culture going through a “rite of passage” and moving into an era where we measure the quality of our lives in social terms before economic ones". When filming people became possible, anthropologists began to drift away from it. Though better off than at the beginning of the 20th century, the visual anthropology today is still perceived as a marginal discipline, Tereza Kuldova writes in the first part of her review of Photography, Anthropology and History: Expanding the Frame. The topics of the eleven articles range from the discussion of mappaemundi and panoramas as first ethnographic images, to the discussions of the beginnings of the cinematic representations in anthropology, of Evans-Pritchard’s photographs of an initiation ritual, all the way to the discussion of photographs taken by Kathleen Haddon in Papua New Guinea and the tricky relationship between colonialism, photography and anthropology. 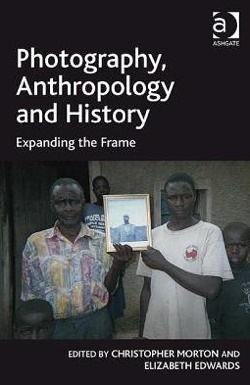 Review (Part I): Photography, Anthropology and History: Expanding the Frame (eds. Morton, Ch. & Edwards, E.), Ashgate. 2009. ISBN 978-0-7546-7909-7. David MacDougall presents in his article Anthropology and the Cinematic Imagination a rather brief discussion of the relations between anthropology and the cinematic. He relates the beginnings of the cinematic imagination to the use of stereograph and after that pinpoints the interest and enthusiasm of the 19th century anthropologists with the new media of photography and motion pictures, which was followed by the ‘dark age’ of visual anthropology in the first half of the 20th century. At that point of time anthropologists began to be reluctant to publish photographs in their monographs and ethnographic filmmaking has become a “sideline of anthropology, practiced more by amateurs, adventurers, missionaries, journalists and travel lecturers than anthropologists” (ibid:57). 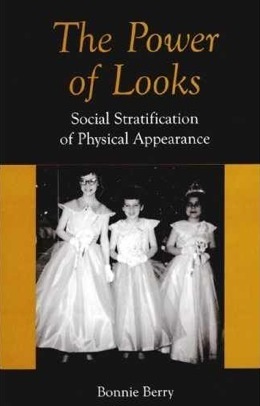 As a reasons for this he identifies the ‘contamination’ of the photographic media by popular entertainment; photographic media “were considered vulgar and exuded aura of the musical hall” (MacDougall 2009:57). He further argues that also the practices of anthropologists and their methodologies have become more logocentric. The anthropological knowledge itself was changing, it was “shifting away from the visible worlds of human beings and their material possessions towards the invisible world of abstract relations such as kinship, political organization and social values”. However, “if observation was so important, you would think that filming people in their daily interactions would have become increasingly useful. Yet, it was just at this time, when filming people became possible, that anthropologists began to drift away from it. The human body, which had excited so much interest in the 19th century, when it was constantly being measured and photographed, had ceased to be a site of meaning” (ibid:57). Film images and photographs were rather objects you would put in a museum; they were placed at the margins of anthropology. Together with John Marshall – all of them reinvented the ethnographic film and revived the interest in the possibilities of visual anthropology. “Beginning in the 1950s they began to demonstrate that cinema had more to offer anthropology than a technology of note-taking or a means of popularization. Their films tried to enter into the thoughts and feelings of their subjects and the physical spaces in which they lived” (MacDougall 2009:58), exploring interpersonal relationships with the camera. MacDougall thus concludes that “anthropologists and filmmakers invented, more or less separately, a way of looking at the world that involved repositioning themselves and their audiences imaginatively in relation to their subjects; and second, that as far as visual anthropology was concerned, these two inventions remained almost completely isolated from one another for a very long period, until they began to converge after the Second World War” (MacDougall 2009:61). “Rouch and Marshall believed that visual anthropology could and should do more than simply record what was in front of the camera. They were after the invisible content of the scenes they filmed, both in terms of the sense of space they conveyed and the experience of individuals” (MacDougall 2009:62). There are two points in MacDougall’s argument which might have been elaborated further and which I find interesting. The first one is that of ‘contamination’ of the photographic media by popular entertainment, which was possibly one of the reasons why anthropologists tended not use this media at the beginning of the century. For me this line of thinking resembles the discussion about the concept of ‘culture’, which is not only criticized for being essentializing and bounding, but is also portrayed as being misused, meaning anything and everything and thus turning into a ‘lay’ concept. This is, I believe, one of the core problems. As anthropology struggles continually with the problem of its own authority, it necessarily creates boundaries between the ‘commonsense’ and the ‘scientific’. Once ‘culture’, ‘photography’ or ‘motion picture’ is connected with the masses or ‘laymen’, the ‘science’ tries to distance itself from it, implicitly claiming a superior ‘scientific’ version of reality. However, I believe that this attitude can turn out to be counterproductive. What is rather the issue in the case of anthropological or ethnographic photography and film is how to transmit the ethnographic knowledge pictorially and how to rethink the modes of representation, while not merely reproducing the archetype of the ‘documentary film’. The visual anthropology today, though better off than at the beginning of the 20th century, is still perceived as a marginal discipline. Nevertheless, I believe that anthropology has a lot to gain from the visual field of experience and from rethinking of the visual modes of its representation. The second point which MacDougall makes and which I find important is that of the turn towards the focus on the abstract structures and relations of social systems, which have dissociated them from the obvious relationships with the material, which led to the surpassing of the material in anthropological writings. Though the focus on the social dimension is no doubt the core of anthropology, I believe that we can get more of it by acknowledging the material and visual dimension of our social lives and by trying to use the methods of visualization innovatively when writing our monographs. At the same time, I believe that we have to be cautious when dealing with the visual, so that it does not become overwhelming, and in turn reducing the focus on the social. What we need to focus on is rather the dialectics of the social and the material, depicting it in terms of both writing and visualizing. How can businesses profit from social media? How does social media challenge what is regarded as “value” in the business world? Anthropologist Lene Pettersen discusses these and other questions in her paper “The impact of social media for business“. The virtual market isn’t a huge collection of passive consumers; it is represented by networks of people having meaningful dialogues and interaction with both each other and the businesses as such, and represents new ways of market power. (…) By mapping different social media applications that are used for interaction we will receive great insight of benefits from different social media tools, technology as such and give important knowledge of how social media can be used by companies and organizations for innovation. In social media we can recognize how highly respected bloggers receive respect from others. In parallel to honor cultures, where public reputation is more important than one’s self esteem, bloggers achieve huge respect within their community (Pettersen 2009). Anette Weiner showed in her studies of the Trobriand people how transaction of the kula (a type of shell) with people’s kula network didn’t have a solely economic value, but that knowledge, high status, and even sorcery help kula players claim success and circulate their fame (Weiner 1988:156).